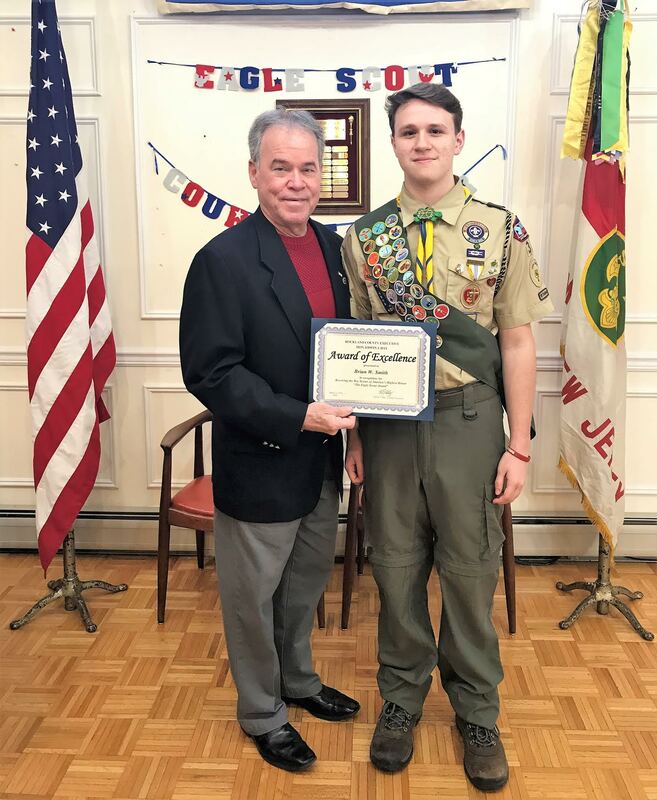 Rockland County Executive Ed Day congratulated Bergen Catholic High School graduate Brian Smith of Troop 31 on becoming an Eagle Scout at his Eagle Scout Court of Honor. Brian is currently a freshman at Sacred Heart University. His community service project was to construct a new bocce ball court on the property of the Sloatsburg Senior Center as well as two benches and cedar planting boxes.